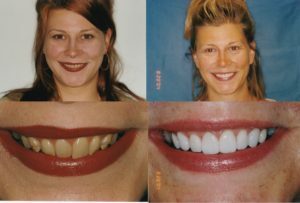 Porcelain veneers are custom-made coverings for the front of your teeth. 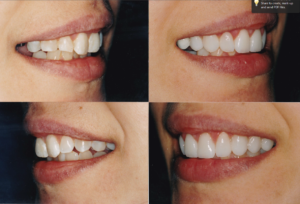 They are very thin and are bonded to your teeth by your dentist in order to change the look of your teeth. 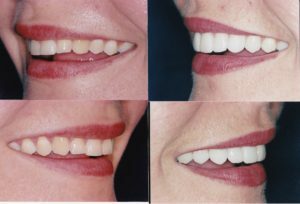 You can have veneers placed on as many teeth as you would like, whether that be just one or your entire mouth. 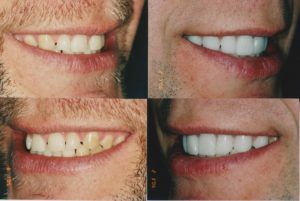 Veneers are meant to fix both structural and cosmetic issues, such as chips, gaps, discoloration, worn down teeth, etc. 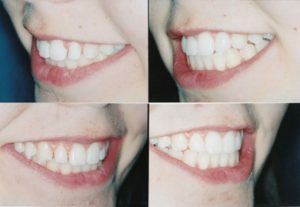 If you are a patient who is experiencing any of the aforementioned problems, veneers could be the right option for you. 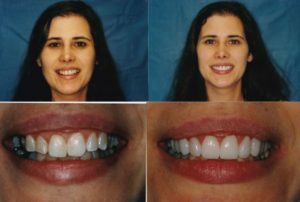 However, there are specific requirements you must meet in order for porcelain veneers to work on your teeth. First off, your teeth need to be in decent periodontal health. 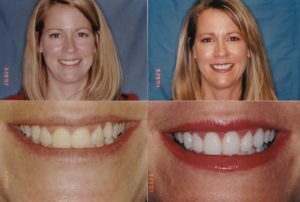 Essentially, if you have major tooth decay, chronic gum disease, bruxism, or an insufficient amount of tooth enamel, your dentist will likely not recommend you for porcelain veneers. In addition, you must be committed to good oral hygiene. 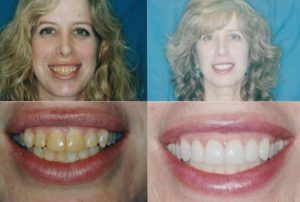 Fortunately, most people are candidates for porcelain veneers. 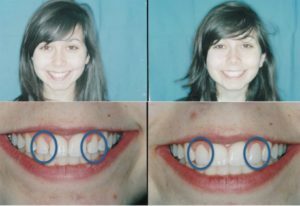 As a part of your initial consultation with your dentist, he or she will evaluate your dental health and determine if veneers are right for you. 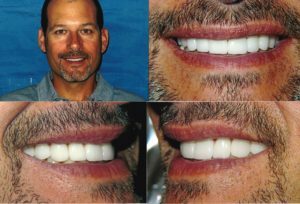 Once your dentist has cleared you for porcelain veneers, your consultation will consist of explaining exactly what you want from the procedure and the dentist creating a mock-up of what your teeth will look like after. 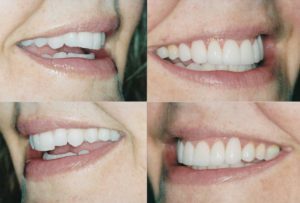 They will then take a very minute amount of enamel from your teeth and take an impression of the teeth you plan on getting veneers on. 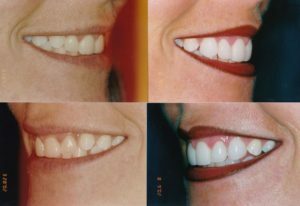 Due to the nature of traditional porcelain veneers, an outside dental lab will custom make your veneers and then send them back to the dentist. 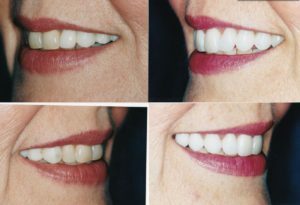 For the week or so until the next appointment where your veneers will be bonded, you can get temporary veneers to avoid the discomfort you may feel without that bit of enamel. 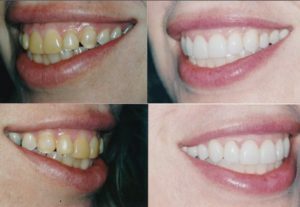 When your veneers come back from the dental lab, your dentist will be able to place them by etching your teeth with a gel, then placing and reshaping the veneer to fit your teeth perfectly. 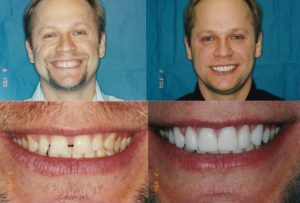 You will be able to work with your dentist closely to make sure that you are getting the exact result you want. 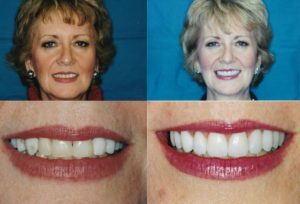 If you are not as confident in your smile as you want to be, porcelain veneers offer many benefits to correct this. 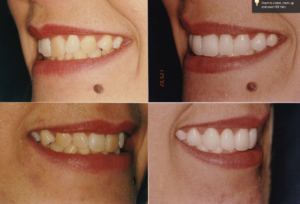 Veneers maintain much of your natural tooth, and are created in the exact color of your teeth. 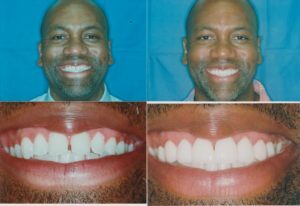 Oftentimes, no one can even tell that your veneers are not your real teeth. 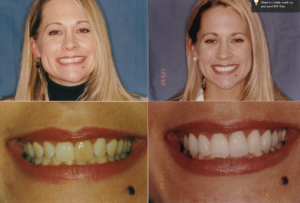 Along with this, veneers are stain resistant. 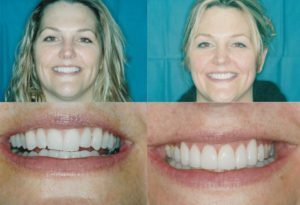 Veneers are also a conservative treatment, unlike going through with a crown; even bonding is a more complicated procedure than veneers are. 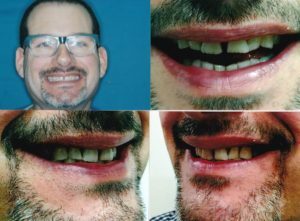 When you have your consultation with your dentist, he or she can go over pros and cons of your different treatment options. 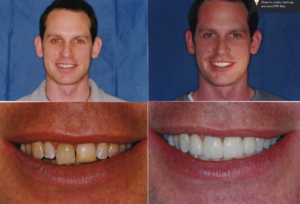 Different treatment options exist when you want to change the look of your smile. 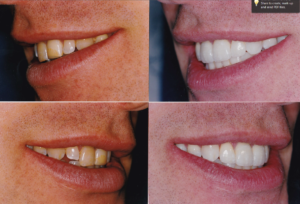 Dental Professionals offer free consultations, a must when it comes to porcelain veneers. 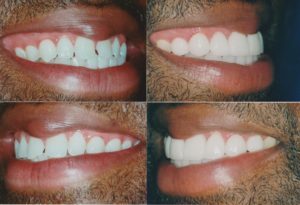 Call us today at (773) 327-4442 to schedule your appointment!